Franken supports King Obama's lawless Executive Orders; his refusal to enforce immigration laws and desire to implement amnesty. Ortman says we must secure our borders and enforce existing immigration laws. These are just a few of the issues Ortman deals with in her Turnaround Plan. When you compare Ortman's agenda with Franken's, it is quite obvious that Franken is one of King Obama's many overlords along with the IRS, DOJ, NSA and other governmental agencies, all working together in concert to keep We the People slaves in check. Let us not forget that Franken demanded that the IRS harass conservative and Tea Party groups, lest we patriots escape from Obama's unprecedented intrusive all-powerful and all-controlling big government plantation. In terms of their war-chest, we are talking David vs Goliath. As of March 31, Ortman has a little over $600 thousand compared to Franken's $6 million. I am chairman of CCC (Conservative Campaign Committee). Our seemingly impossible mission which we have passionately chosen to accept is to travel the country launching independent expenditure campaigns to help conservatives get elected in key House and Senate races. On several occasions, we have faced the challenge of first defeating the GOP's anti-Tea Party establishment candidate before taking on the Democrat. Ortman for U.S. Senate is one such race. Here is our TV ad supporting Julianne Ortman for U.S. Senate, Minnesota. 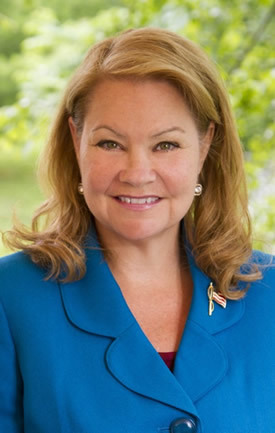 Ortman will be a tremendous asset to our “good guys” fighting Obama-ism in Washington. So folks, whatever you can do to help push Ortman across the finish line is a victory for freedom over slavery.